Warning! Do not download before hiding your IP with a VPN! Your Internet Provider can see what you are downloading! Hide your IP ADDRESS with a VPN! We strongly recommend using a reliable VPN client to hide yourself on the Internet. It's FREE! Unlock the secrets behind the behavior of the world’s most fascinating creatures? from the Adélie penguin to the plains zebra to the giant panda?in this wonderfully written, beautifully illustrated book. 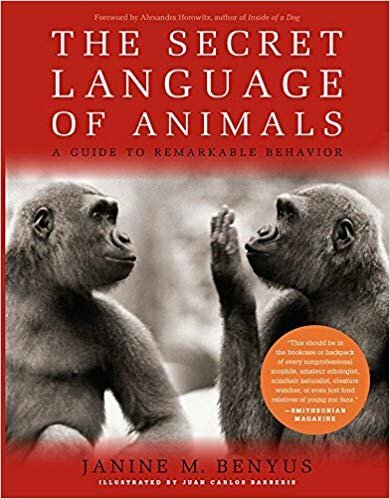 In The Secret Language of Animals, biologist Janine Benyus takes us inside the animal kingdom and shows us the whys and the hows behind the distinctive behavior of creatures great and small in their natural environments. Divided geographically into five sections?Africa, Asia, North America, the oceans, and the poles?the book examines and describes the behavior, body language, and patterns of communication of 20 different animals: the gorilla, lion, African elephant, plains zebra, black rhinoceros, giraffe, ostrich, greater flamingo, Nile crocodile, giant panda, peacock, Komodo monitor, bottlenose dolphin, California sea lion, gray wolf, bald eagle, sandhill crane, beluga whale, polar bear, and Adélie penguin. For each animal, Benyus describes and explains basic behaviors (locomotion, feeding, drinking, bathing, grooming, sleeping), communication behavior (greeting, social play, group defense, conflict, aggression/submission, fighting, courtship, copulation), and parenting behavior (birth, care and feeding, teaching, communal care). The book is illustrated throughout with tender yet precise line drawings that beckon us to the animals and vividly capture everything from changing facial expressions to nurturing postures to playful and aggressive interactions. The text, too, is both intimate and informative, allowing for a deep connection with, and a great admiration for, each one of the animals. 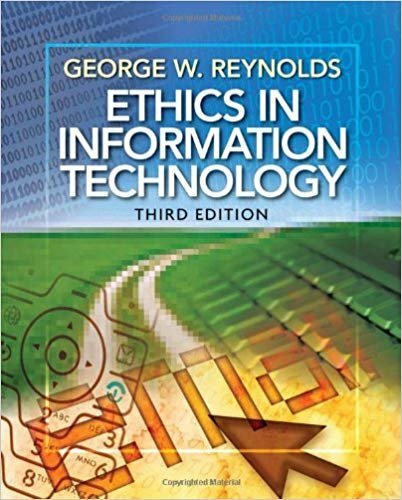 Ethics in Information Technology (3rd Edition) is a highly anticipated revision that will help readers understand the legal, ethical, and societal implications of information technology. The third edition offers updated and newsworthy coverage of issues such as file sharing, infringement of intellectual property, security risks, Internet crime, identity theft, employee surveillance, privacy, compliance, social networking, and ethics of IT corporations. This book offers an excellent foundation in ethical decision-making for current and future business managers and IT professionals. News Culture offers a timely examination of the forms, practices, institutions and audiences of journalism. Having highlighted a range of pressing issues confronting the global news industry today, it proceeds to provide a historical consideration of the rise of ‘objective’ reporting in newspaper, radio and television news. It explores the way news is produced, its textual conventions, and its negotiation by the reader, listener or viewer as part of everyday life. 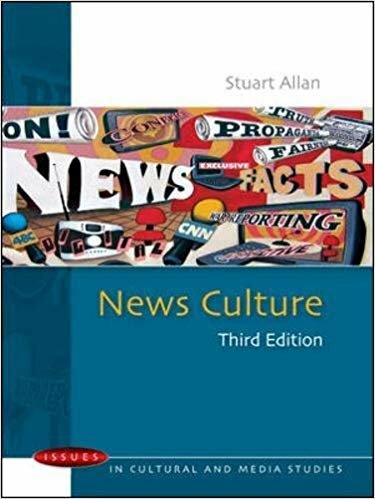 Stuart Allan also explores topics such as the cultural dynamics of sexism and racism as they shape news coverage, as well as the rise of online news, citizen journalism, war reporting and celebrity-driven infotainment. This book is essential reading for students of journalism, cultural and media studies, sociology and politics. From ham and pear to Panzanella, Paninis have endless potential when it comes to ingredients, flavours and textures. 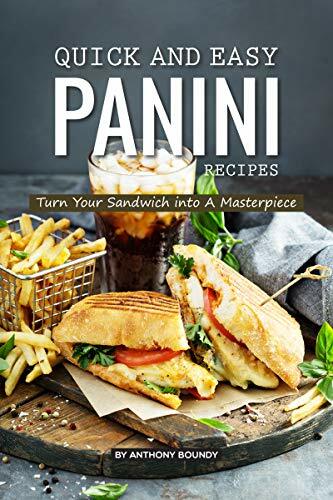 Try sinking your teeth into the cheesy tuna melt or the savoury chicken parmesan Panini after you have spent a few minutes preparing. I was lucky enough to receive a Panini press as a birthday present one year but had no idea what to make it in. It sat on my shelf for a few months before I decide it was time to add a little pizzazz to my lunch meals and tried a few recipes. The 30 dishes in this cookbook are a list of those dishes I liked the most and found tasted the best. I love that it takes little time and makes a delicious meal. Do you love full flavor from dishes that are don’t include added sodium? 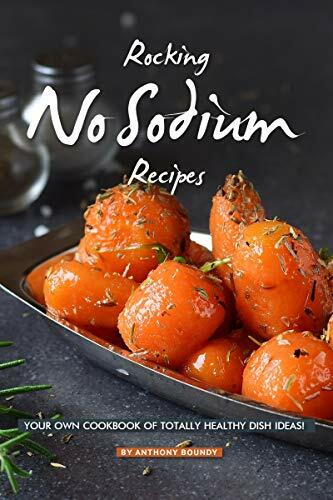 Do you think you might have to give up some taste if you need to change to a no sodium or low sodium diet? These recipes offer you a chance to have the tastes you love without the excessive salt you may have consumed in the past. Sodium is found even in foods that don’t come to mind readily when you think of salt. Most people get more sodium than they think. Consuming too much salt can increase your risk of kidney issues and heart disease. It’s vital to revamp your meals, so you can get closer to a recommended sodium intake of 1,500 to 2,200 mg per day. 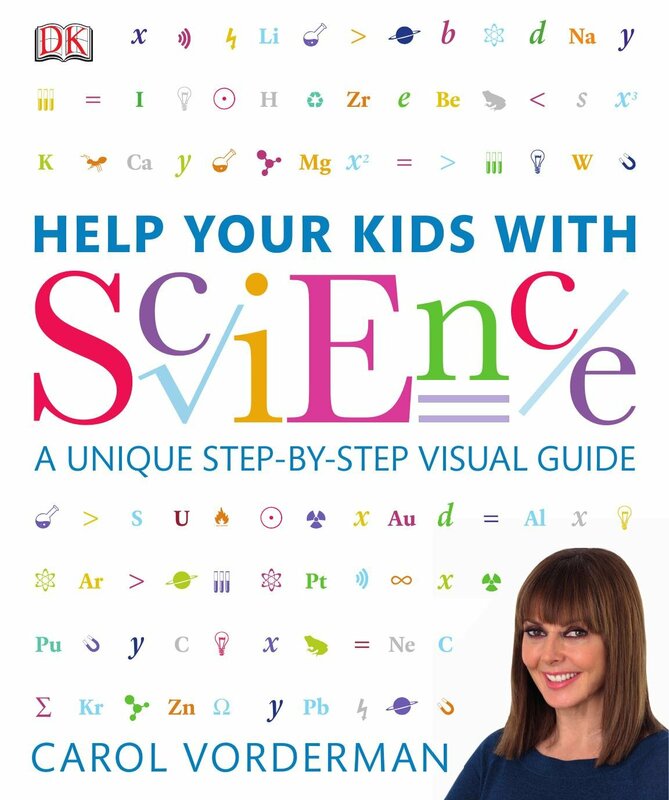 A simple, visual approach to helping your child understand science from Carol Vorderman Reduce the stress of studying science and help your child with their homework by following Help Your Kids with Science, a unique visual guide that demystifies the subject for everyone. Using clear, accessible pictures, diagrams and easy-to-follow step-by-steps – and covering all the important areas of biology, chemistry and physics – you’ll learn to approach even the most complex science problems with confidence. Includes a glossary of key science terms and symbols. Help Your Kids with Science is the perfect guide for every frustrated parent and desperate child, who want to understand science and put it into practice. Any mistakes in the research or information in this book is the total and complete responsibility of the writer. In no way should any contributors be held responsible for the writer’s opinions or mistakes. 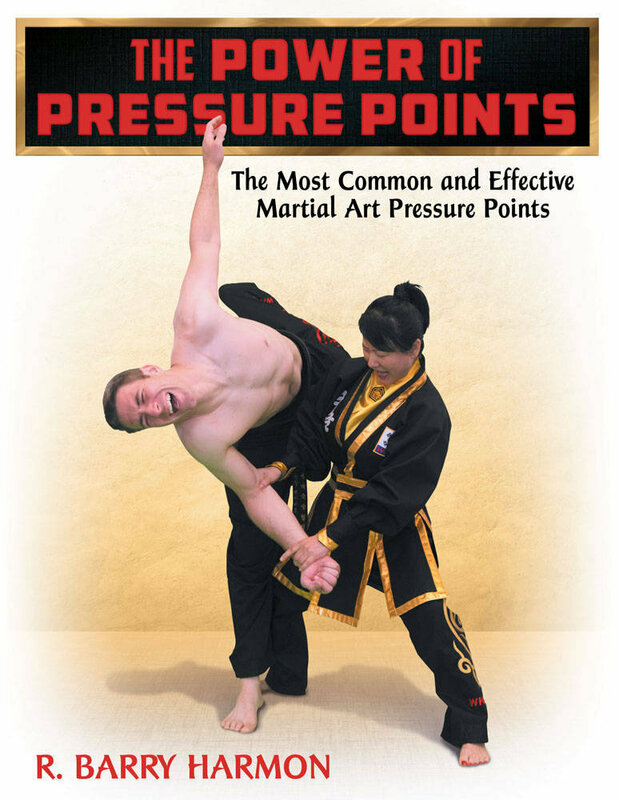 This book is meant to help martial artists understand the power, use, and effectiveness of using pressure points for striking and grabbing purposes. This book will cover the most effective, the most common, and the most practical pressure points in martial arts; therefore, I will not cover every single pressure point that is used in martial art, acupuncture or healing. It will also include points or areas that are not regular pressure points but specific common areas that are used for martial art striking or grabbing. I will not be discussing the anatomical or energetic effects of each point when struck but the effects of the strike on the pressure point. In other words, I explain what may happen to the individual when a particular pressure point is hit. It was a very difficult decision to choose how much information to place in this book. The goal of this book is to include enough information to help the reader understand the pressure points and their possibilities. I have tried to avoid overwhelming the reader with more information than most martial artists are interested in studying. That said, I decided to include a little more information than most might be interested in concerning the theories of Ki, Um (Yin) -Yang, Five Elements, Channel theory, and pressure points. This information is specifically included for those martial artists that are interested in a more in-depth study.